WordPress app to track limited-run post card mailings. 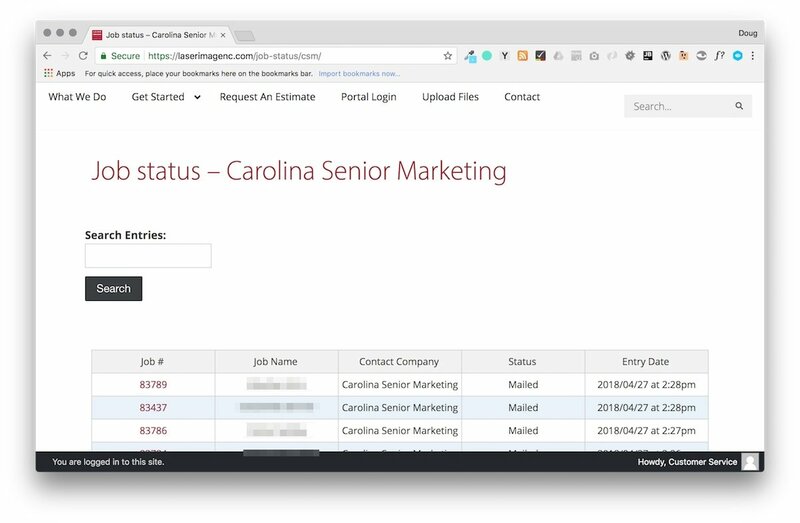 Gravity Forms, Gravity View, custom JS/PHP; Members & Login Redirect plugins allow clients & staff access to protected pages; email notification when jobs are updated. 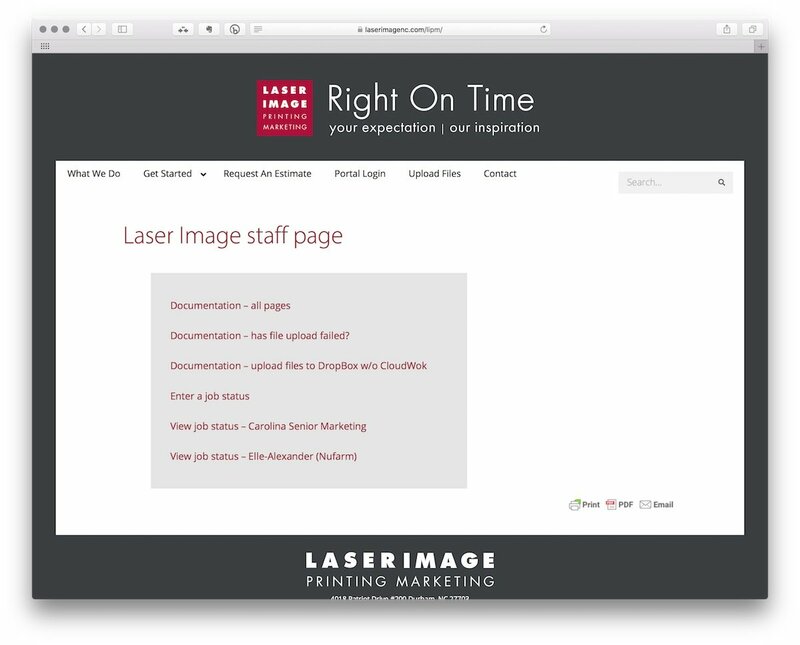 Laser Image Printing & Marketing (LIPM) is a small/medium size print shop located in Durham, North Carolina. LIPM has one client with many, many postcard mailings per year. The client asked if there was an easy way for LIPM to keep them informed on the status of jobs as they were printed & mailed. 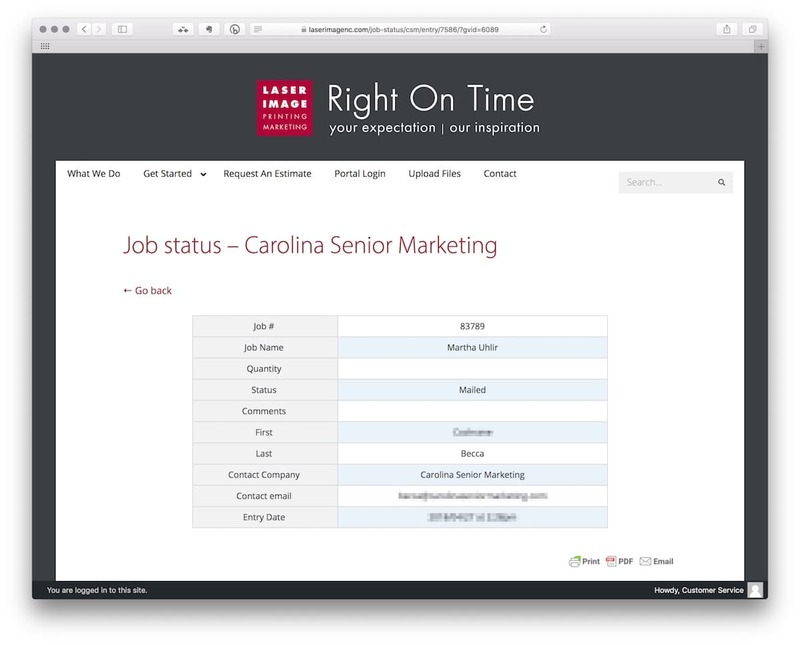 LIPM has a project planned to install real-time job tracking, but for now it is not an automated process. However, leveraging their current WordPress website, I built & installed a custom tracking system for postcard mailings within less than a week. Now the customer receives an email when jobs are printed or mailed. All current jobs statuses are also listed on private pages of the website which can be accessed at any time by the client and LIPM Customer Service Representatives (CSR). WordPress, PhpStorm, Chrome Developer Tools, custom code (PHP/JS/jQuery/HTML5, CSS3), Gravity Forms, GravityView, Members, Peter’s Login Redirect. 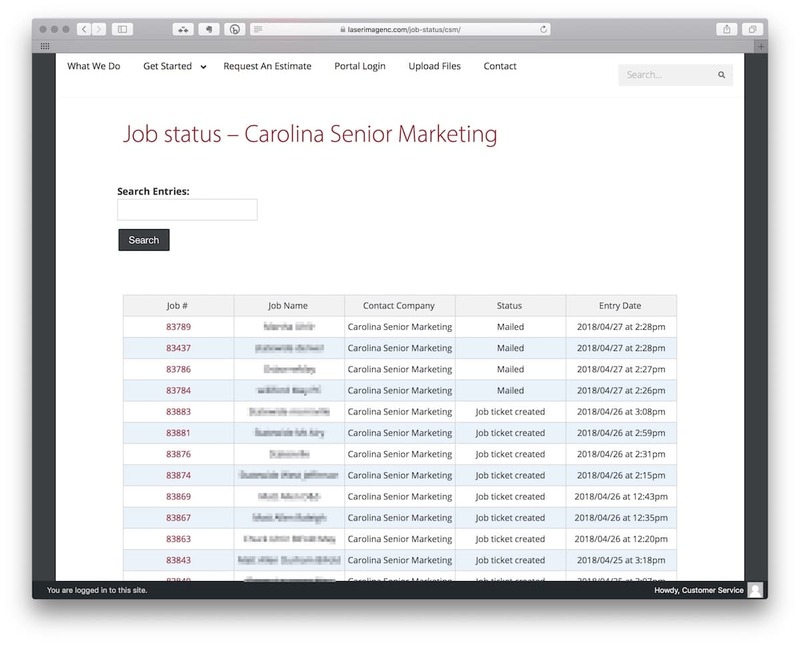 The job status tracking system was not designed as a long term solution. It did however, make LIPM's customer _very_ pleased with how quickly they listened to concerns & responded. The system is fairly straight forward. A designated CSR makes entries into a Gravity Form form when postcard mailing jobs are being processed. When the form is submitted, an entry is made into the WordPress database and a confirmation email is sent to the customer. 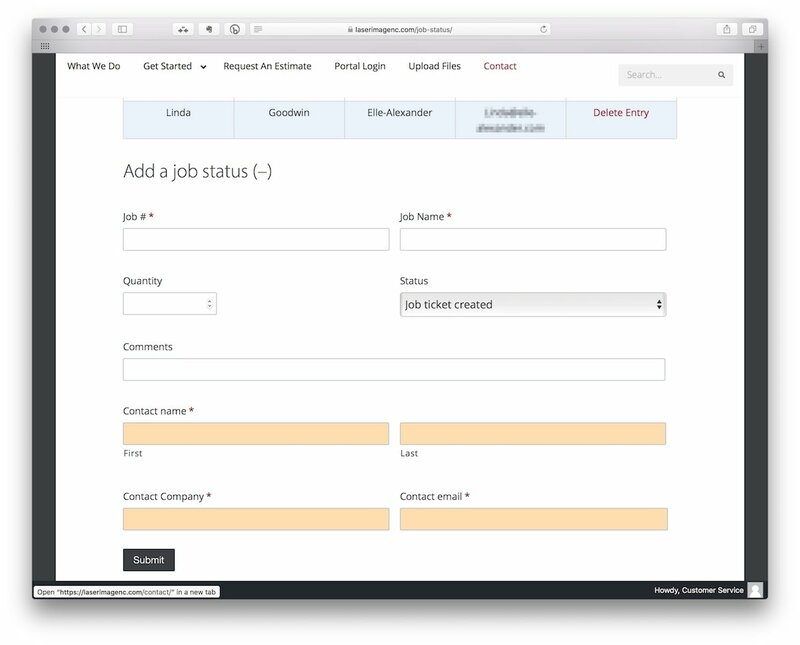 The GravityView plugin creates an output page so those jobs can be viewed. The Members plugin restricts access to the status page from the general public, allowing only the customer & LIPM staff log in. When a WordPress user logins in, if they are authorized, they are immediately redirected to the status page by the Peter’s Login Redirect plugin. Below are sanitized screen snapshots of the system.